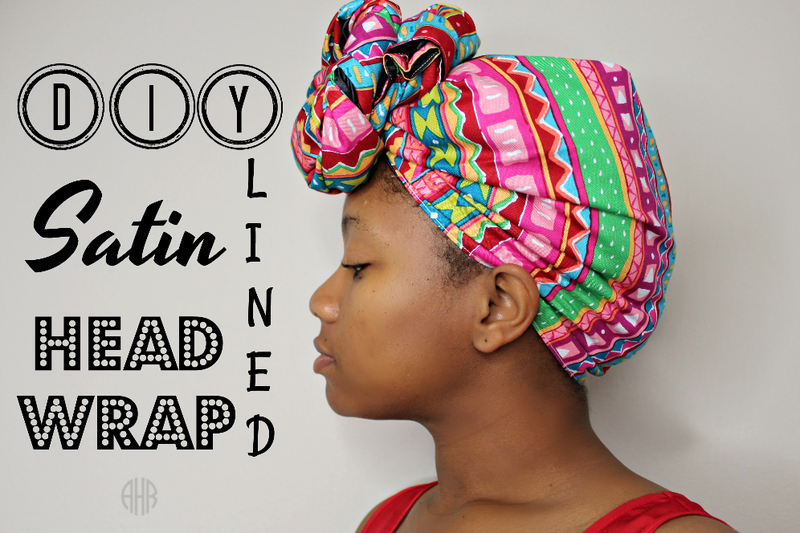 I have seen so many girls rocking these cute turbans or head wraps. I love them so much that I wanted to create one that was hair friendly or satin lined. It is super easy to make and it doesn't cost that much to make. I only used a yard of fabric of printed cotton fabric and a yard of satin fabric. I simply cut teach yard in half vertically, and pieced the two pieces together to have one long piece. The dimensions of this wrap is approximately 18 x 88 inches. It sounds more complicated than it actually it. If you don't mind spending the extra dollar or two for two yards of fabric, I suggest buying 2 yards of the printed cotton fabric and 2 yards of the satin fabric. Then you can simply cut both pieces into 22 x 72 in pieces and sew them together (no piecing involved). This head wrap has a multicolor Aztec print on the outside and black satin on the inside. However, you can mix up the colors in whatever way you like. You can use any color cotton fabric on the outside but if you have dark colored hair, like I do, you may want to stick to black satin fabric. You can make these for Christmas for your friends and family. I would match any wardrobe if you stick to solid colors and it is so inexpensive to make. I can't get enough of a good DIY because I am naturally frugal. I want the best bang for my bucks and not only is this wrap cost efficient, but it's cute, protects your hair, and very versatile. The total price of this was around $7 or $8 and you could save even more if you have spare fabric laying around the house. You can also print the instructions for this project HERE. 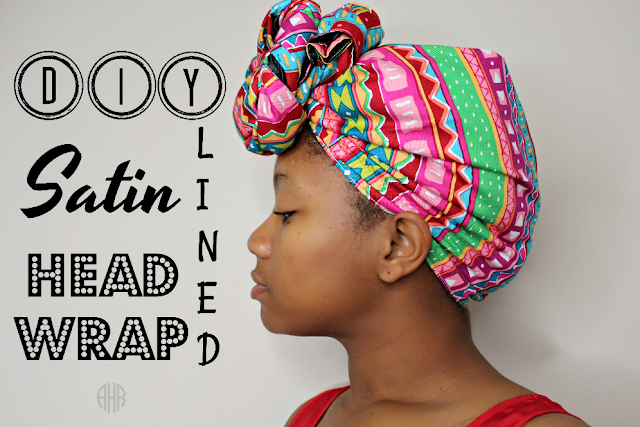 If you are interested in making this wrap, here is a tutorial that I created for the satin lined head wrap. It's A 10 Miracle Leave In (Dupe)? Click the information button below to find out how to contact and learn more about me. © 2013-2016 Anything Hair Related. All Rights Reserved.